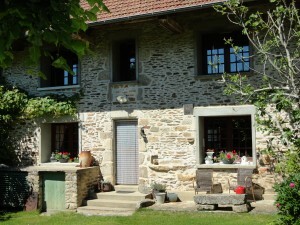 In the Limousin, the green heart of France, you can find “Le Mas Bellanger”. Le Mas Bellanger is a hamlet wich belonges to the village Saint Pierre Chérignat. 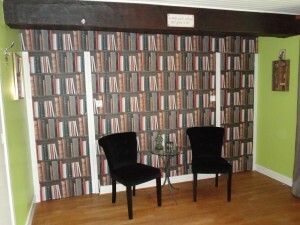 It is in Creuse, close to the border of Haute-Vienne. 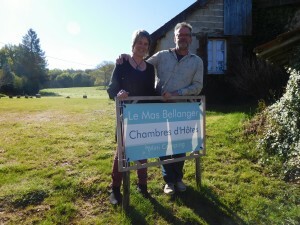 Here we have our bed and breakfast and also a mini-campingsite, called “Le Mas Bellanger”. It’s a beautiful place, nice, quiet and green. 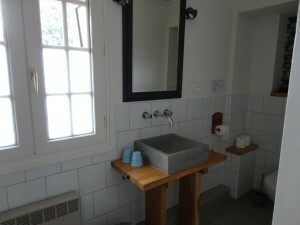 It’s very good for relaxing, walking, cycling or to visit the local French towns and villages. Also, it’s an ideal place to stay for 1 or more days on your way to the south. 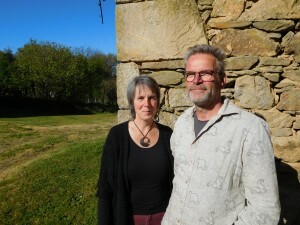 We, Hans and Joke Schilder, have lived here since September 2015. 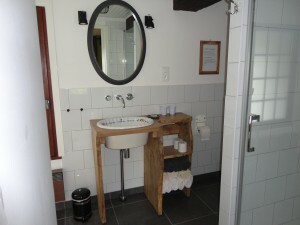 We have done a lot of work to greatly improve the rooms for our guests. 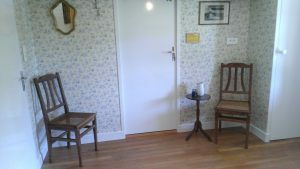 At the moment there are 3 rooms with their own bathrooms. 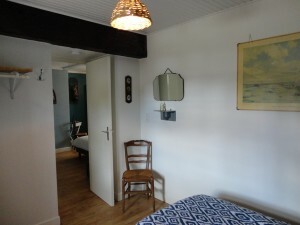 It consists of two rooms, very cosy, with either 4 single or 2 double, comfortable beds. 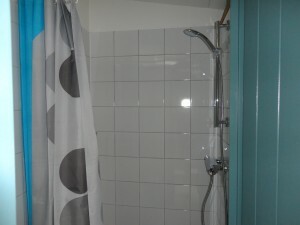 This room can be rented by a family with children or a group of friends. 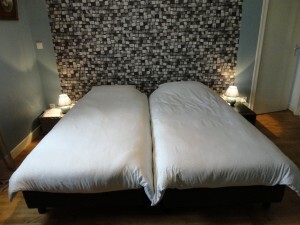 Of course it’s also possible to rent this room for just 2 people. The price include a continental breakfast. Coffee and tea are free. We prefer and would welcome advance bookings! 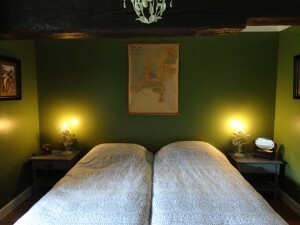 A very nice room with 2 single or 1 double, comfortable bed and a nice view. 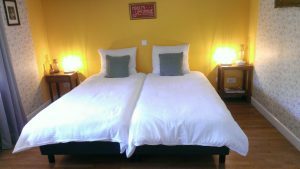 A very nice room with 2 single or 1 double comfortable bed and a nice view. 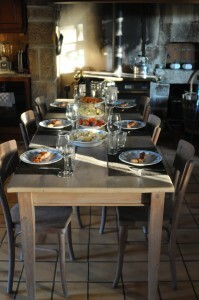 We also make meals the so called “table d’hôtes”. 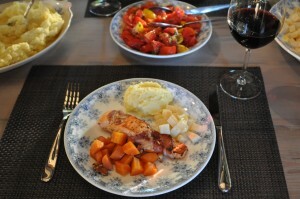 Several times a week we make a 3-course menu ( starter, main course, dessert). The other days we can make a 1- course menu. That can be for example : pasta, quiche, stew or something simular. If you want to enjoy a meal here,please reserve! It has about 5 or 6 places for a tent, a caravan or camping car. 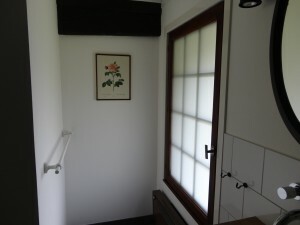 Here you can enjoy the peace and quiet and discover the beautiful surroundings. 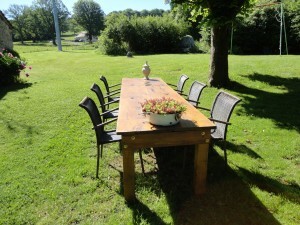 July and August (high season) € 20,- per night ; tent, caravan, camper, 1-2 pers. 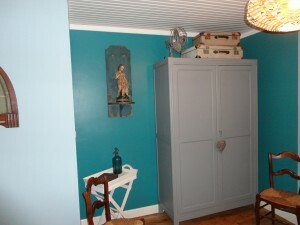 , electricity included. 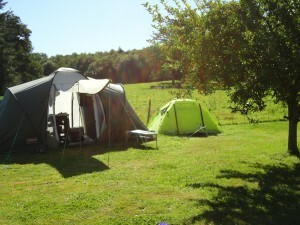 Between 1st October and 1st April it is also possible to camp at our site. so we can switch on the water heater and heating. camper, caravan, tent, 1-2 pers., electricity included. 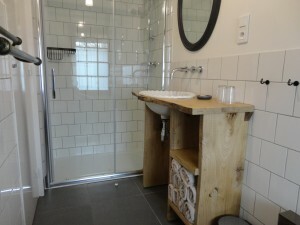 Other months (April, May, June, september, the low season) € 15,- per night ; tent, caravan, camper, 1-2 pers. , electricity included. cause nuisance for other guests. A dog costs € 2,- per night. 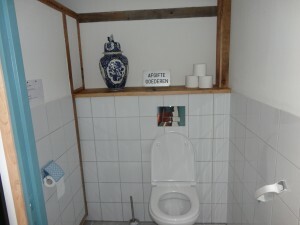 There is a sanitary building for the campingsite with 2 toilets and 2 showers. even if you use biological products. We would like to ask you to use only water in thes cassettes. 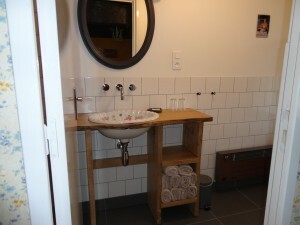 Otherwise you can empty those toiletcassettes in a village nearby; Chatelûs de Marcheix. There is an indicated place for that. you can take the breakfast in our house, in the common room. for example for the winter, until your next holiday. The price of that is € 25,- per metre length/ per annum.